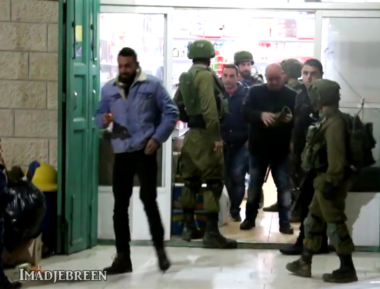 The soldiers broke into several stores and forced the Palestinians out, before closing them, and posted the waning leaflets. Similar orders were posted on walls and doors of several homes, before the soldiers invaded homes and abducted Odai Mahmoud al-‘Amour, 16. The army told the residents that the Palestinians who are involved in protests, and hurl stones at the military and settlers’ vehicles and buses, will face severe punishment that would not only impact them, but also their families.